Your source for all things Information Security! You are here: Home / Open Source / Ostinato: The Network Traffic Generator and Analyzer! 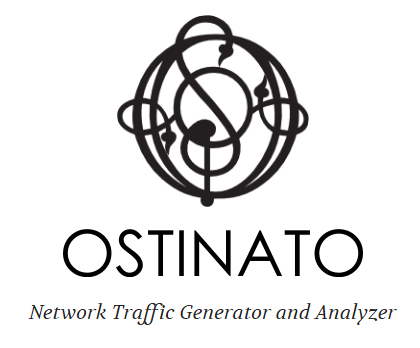 Ostinato: The Network Traffic Generator and Analyzer! Ostinato is an open source packet crafter, network traffic generator and analyzer with a friendly GUI which works on multiple operating systems such as Windows, BSD, Mac OS X and different Linux distros. It aims to be “Wireshark in Reverse” and become complementary to Wireshark. It allows you to build your own packets from scratch and configure the number of packets and packet rate. You can use it via Python API or via GUI. All you need is WinPcap. Ostinato has a good readme available, which can be accessed here. UPDATE: Kali Linux 2018.3 Release! UPDATE: Kali Linux 2018.2 Release! UPDATE: Kali Linux 2018.1 Release! UPDATE: Kali Linux 2017.3 Release! UPDATE: Kali Linux 2019.1 Release! Copyright © 2019 - PenTestIT | Information shared to be used for LEGAL purposes only!